…and an exclusive film. Keep reading (and watching). Exactly three years ago today, after 96 days of cycling and 15 days of not cycling (much), I pulled on the brakes of my good steed Reggie for the final time at the monument that marks the northernmost point of the continent. Let’s relive that memorable day. Cycling Day 96: Ready For The Final Leg… Kind Of. As with the other Norwegian islands along which I had cycled, Magerøya, the island of Nordkapp, had its own unique identity. I set off at 9am and within a few kilometres was climbing through a treeless landscape. The mountains were all now behind me and here hills rolled modestly over the contours of the rock from which they had been formed. Herds of reindeer and elk roamed in the distance, wisely keeping themselves away from the road and its traffic of cars, motorhomes and, of course, bicycles like Reggie. The drama of Magerøya came in its location, isolated from the rest of the continent. A point at which the land stopped and the sea started and continued for many thousands of kilometres on a journey to the North Pole and onwards to the northern shores of Alaska. 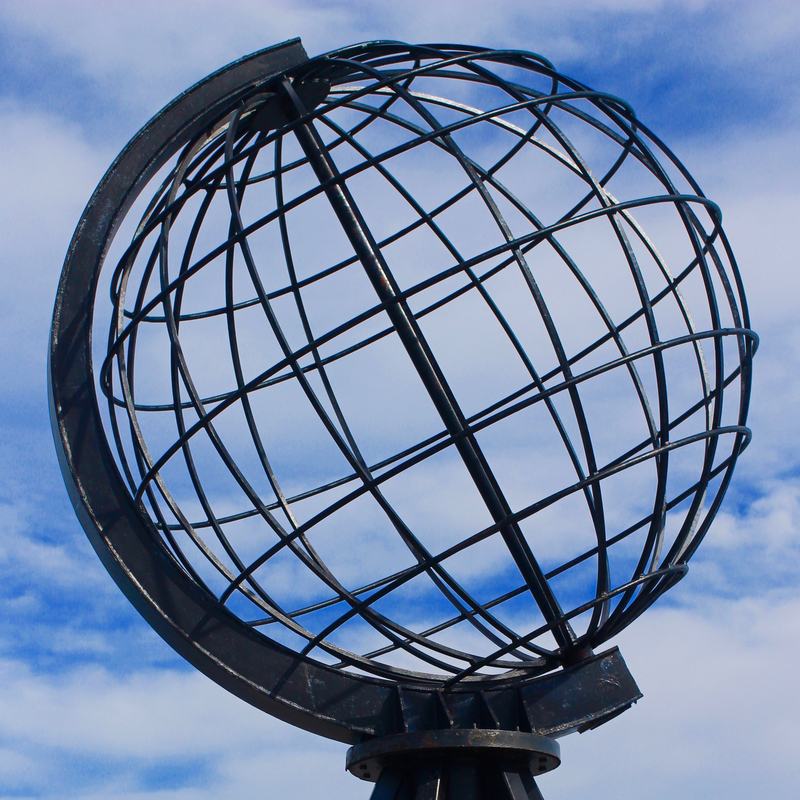 My own journey had started within sight of Africa but when I glanced to the west, to the east and, as I neared the cluster of buildings at Nordkapp itself, to the north, I could see nothing but a vast expanse of water. It was approaching midday on Tuesday 28th July and the journey was entering its final few minutes. These were the precious moments of time that I had found almost impossible to imagine as I cycled along the causeway in Tarifa. The blank canvas of events was now nearing completion. As Reggie’s tyres rolled over the loose gravel surrounding the Nordkapphallen tourist centre, my mind was split between looking back over the 7,776km cycled and forward at the remaining 100 metres. It was a confusing mix of memories and emotions but as I slowed to a halt next to the iconic metal globe on its plinth, the over-riding feeling was that of calm satisfaction. I had been travelling for nearly four months. I had achieved my objective. I had arrived. I dismounted from Reggie and went to sit on Europe’s most northerly bench. For a few moments, I was the continent’s most northerly man. I smiled. Job done.